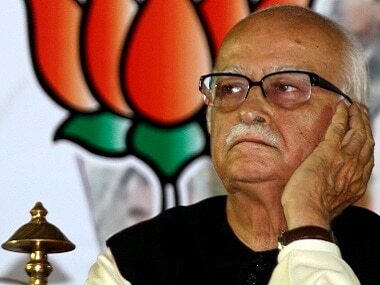 Prime Minister Narendra Modi will contest the Lok Sabha election from Varanasi, the seat he represents in Parliament, and BJP president Amit Shah will fight from Gandhinagar in place of veteran leader LK Advani as the party on Thursday announced its first list of 184 candidates for the General Election. BJP heavyweights such as Home Minister Rajnath Singh and Road Transport and Highways Minister Nitin Gadkari have been fielded from the Lucknow and Nagpur seats respectively with the party reposing its faith in all but one Union minister from the constituency they had won in 2014. Senior party leader JP Nadda released the list at a press conference on the auspicious day of Holi following three marathon meetings of its central election committee (CEC). Union minister Smriti Irani will reprise her electoral battle with Congress president Rahul Gandhi from Amethi, where she had lost to him in 2014. 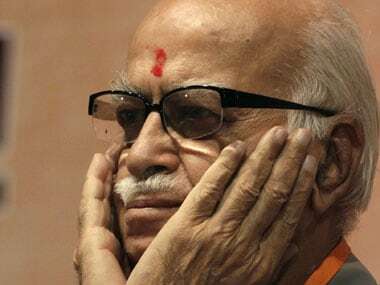 The biggest surprise in the first list is dropping of Advani, the 91-year-old party stalwart who called the shots in the BJP for decades before Modi's rise eclipsed him, from Gandhinagar and Shah's decision to make his Lok Sabha poll debut from the constituency. Gadkari was quoted by ANI as saying, "Party has expressed its faith in me, I will win with an even better margin this time. People of Nagpur supported me last time as well. They are happy with our work, we will do even better after getting elected again." The party, however, has denied tickets to its six sitting MPs from Uttar Pradesh, including Union minister Krishna Raj and National Commission for Scheduled Castes chairman Ram Shankar Katheria. The grand-alliance of Opposition parties in Bihar is "intact" and its candidates for all the 40 Lok Sabha seats in the state will be announced after Holi, RJD leader Tejashwi Yadav said, according to reports. "All is well in 'mahagathbandhan'. It is intact and strong and we will put up a strong fight at the hustings. All differences have been ironed out. We will announce our candidates after Holi," Tejashwi told reporters after several days of negotiations regarding the seat-sharing pact. Sharad Yadav, whose Loktantrik Janata Dal (LJD) is one of the constituents of the grand alliance, was more specific on the date of announcement of candidates. Candidates will be announced at a press meet in Patna on Friday, he was quoted by PTI as saying. Meanwhile, a senior Congress leader from Bihar, who is camping in the national capital, told PTI, on condition of anonymity, that reports of his party having agreed to contest only nine seats are "mischievous". "Our state election committee had met in Patna last week and authorised Rahul Gandhi to take the final decision in the matter. There has been no communication within the party about the number of seats. The media reports are, at best, speculative," he said. The Darbhanga seat has become a bone of contention between the Congress and RJD. While, the Congress wants to field Kirti Azad, who had won the seat five years ago on a BJP ticket, the RJD wants it too. "The seat is a stronghold of Mohd Ali Ashraf Fatmi of the RJD, who wants a ticket again. 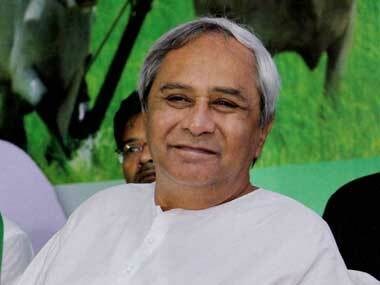 That too remains to be sorted out," the Congress leader said. Chief Minister Vijay Rupani said on Thursday that he and other senior BJP leaders from the state will submit a list of probable Lok Sabha candidates in Gujarat to the party's central parliamentary board in Delhi on Friday. 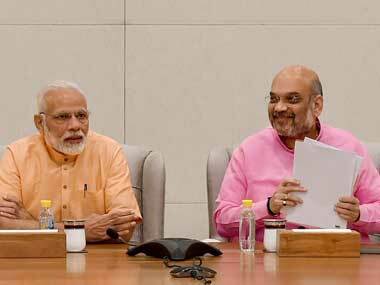 Prime Minister Narendra Modi is expected to be present at the meeting at 11 am, reports said. Following a brainstorming session at Rupani's residence from 17 to 19 March, the state parliamentary board prepared a panel of three candidates for every seat after taking into consideration the views of party observers, he said. The BJP has already announced party president Amit Shah's name for Gandhinagar seat. Rupani will be accompanied by deputy chief minister Nitin Patel, state BJP in-charge Om Mathur, state BJP chief Jitu Vaghani and union ministers Mansukh Mandaviya and Parshottam Rupala. The board of Mindtree, which on Wednesday deferred a decision on share buyback, will meet again on 26 March even as it faces an Rs 10,800-crore hostile takeover bid from L&T. The board of the IT company had met on Wednesday too, but no decision was taken on the agenda item at hand — the proposed buyback of equity shares — and the firm had informed the stock exchange that the meeting has been adjourned to a future date. In a fresh filing on BSE on Thursday, Mindtree said, "This is to inform that the adjourned board meeting is scheduled to be held on Tuesday, 26 March 2019". On Monday, diversified L&T made an offer to buy up to 66 per cent stake in Mindtree for around Rs 10,800 crore — a move that Mindtree promoters have vowed to oppose. 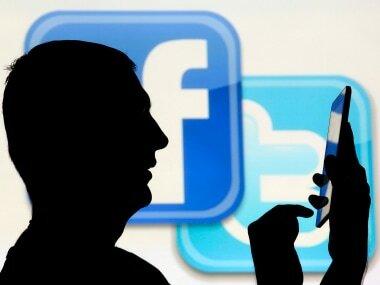 An investigation by a security news publication has found that hundreds of millions of Facebook users had their account passwords stored in plain text format, searchable by thousands of Facebook employees. Facebook so far says that there's no indication that employees abused access to the data but will send a notification to all affected users about keeping passwords safe.